As promised in my earlier post, I've put the Livescrive Echo Smartpen to the test and sadly have found it not quite all I had hoped. Well, not so much the pen which does the job as stated, and that's pretty cool. However, coolness alone is just not enough, I wanted to see if it could be applied to investigative tasks such as when taking witness statements and the like. Well, I've run into a number of problems. 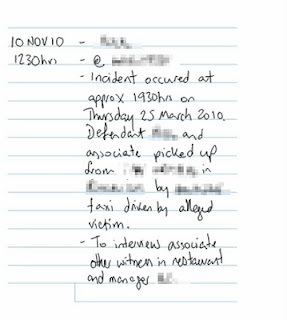 Firstly, I cannot print off the loose-sheet A4-sized notepaper from the Livescribe Desktop application. I keep getting an error message (and I've updated to the latest version). I have also installed the application on another PC in the office and have the same problem. Still working on resolving that. I thought about printing to PDF but that's just not happening either. Maybe it's got something to do with the gazillions of dots per page. 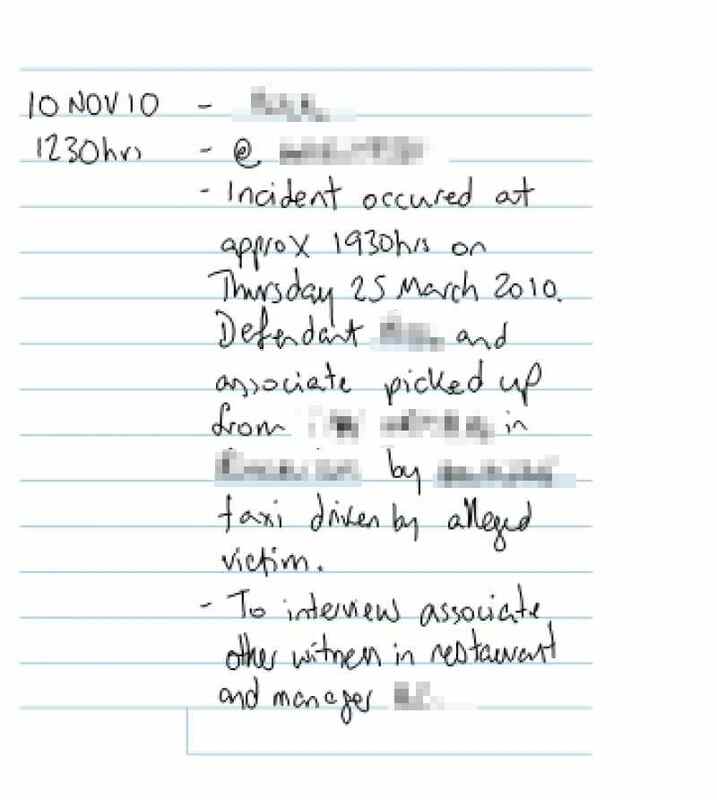 In either case, being unable to print out the A4 sheets is frustrating since this is what most witness interview/statements are written on. That aside, my next gripe is the reporter-style notebooks. The pages measure 76mm by 129mm which, compared to a Moleskine's 91mm by 140mm, just don't give a quite big enough writing area - particularly when leaving a margin for dates and times. Seriously, I'm getting about three words a line. Then all the pages, while numbered, are perforated at the top for easy removal. This, in a notebook used for evidentiary purposes, is not a good thing. However, rather than giving way at the perforation, I've already got pages coming loose at the binding. The whole thing just feels rather light and flimsy. I think that once I resolve the printing issue and am able to create my own sheets, half my reservations will disappear. Also, I may try of the journal-style notebooks rather than the flip pads although hope that the pages are more securely bound and not perforated. Another gripe, albeit one I already went in knowing about in advance, is that I really don't like writing with a ballpoint. I'm accustomed to either Mistubishi Pencil's uni-ball pens which I've been using for close to 20 years now, or my trusty LAMY safari fountain pen (of which I have gone through so many over the years). Sophisticated but not wanky. Like me. As for the Echo smartpen, it's lighter than I thought judging from its bulk. 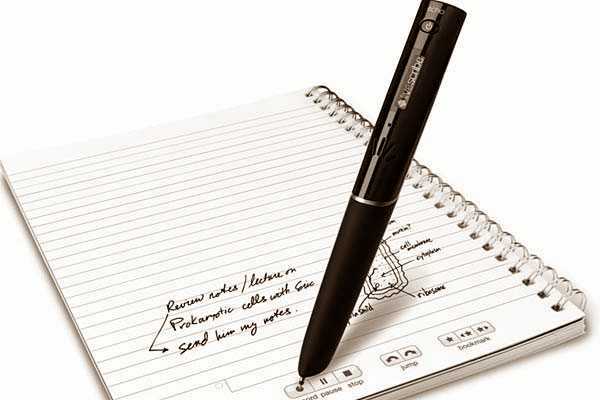 It is easy enough to write with and the voice recording function works as advertised. Docking it to a computer and downloading the pages/audio is easy enough and it only takes a few moments. You can play back the audio either directly from the written page or the electronic copy on your PC. So my closing thoughts on this is that while I'm not getting maximum value at the moment from this product, all is not lost. I think for now it may be more useful for taking notes at initial client meetings and that is probably where I will probably try it next, once I've ordered the other notebooks. However, I'm not giving up on the idea of using it for statements and interviews and will be happy when I can finally get the pages to print.